Abstract—In the poultry industry we have problems like Ascites and SDS (Sudden Death Syndrome) that they are dependent on weak vascular system. Analysis of the heart sounds could be a way to estimate the heart’s strength. Estimating the heart strength with the RV/TV (ratio of the right ventricle weight to total heart weight) index, could help to diagnose chickens with low RV/TV in high genetic stocks (Broiler Breeders) and decline these problems in the next generations. In this paper, we applied the EMD method for decomposition of the chicken heart sounds to compare their RV/TV. We have chosen to use the global maxima of 5th IMF as extracted feature. The results presented a linear relationship between extracted features of the chicken heart sounds and RV/TV ratios. Index Terms—Broiler, ascites, heart sound, RV/TV, empirical mode decomposition (EMD), intrinsic mode function(IMF). A. Sharifnia is with Electrical Engineering Department, Islamic Azad University, Science and Research branch Tehran, Iran (e-mail:sharifnia@live.com). M. Naj is with Biomedical Engineering Department, Islamic Azad University, Science and Research branch Tehran, Iran (naji@scientist.com). 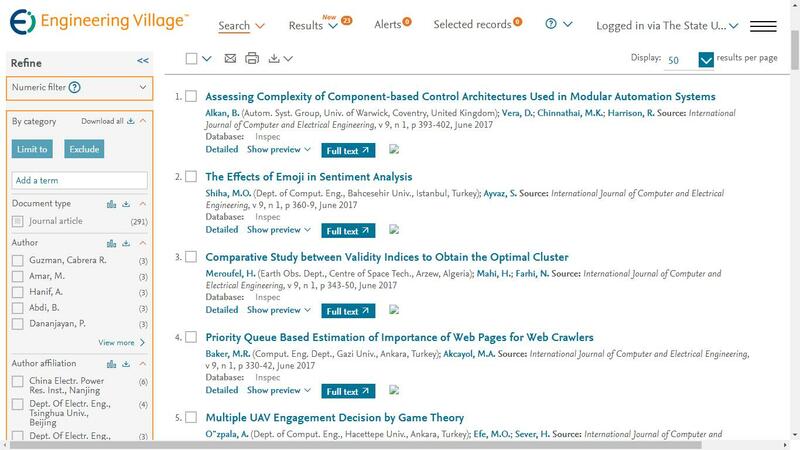 Cite: Alireza Sharifnia, Siavash Askari, Mohsen Naji, and Kosar Gharib Naseri, "Estimated RV/TV Based on Empirical Mode Decomposition of Heart Sound," International Journal of Computer and Electrical Engineering vol. 4, no. 3, pp. 318-320, 2012.